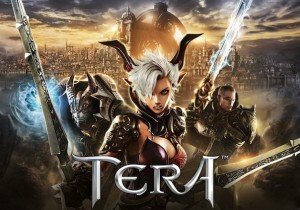 The latest update for TERA is available today, called “Hero’s Oath”. En Masse continue to keep up with their near-monthly update schedule, and today’s update also closes out a month of celebratory events, celebrating TERA’s sixth anniversary in North America with new content, features, and a new monthly event also has begun. Dungeon runners with level 65 characters wearing powerful gear, an average item level of 446 or higher, can head to the Velika Outskirts to take on the newly introduced Antaroth’s Abyss dungeon. The dungeon comes in both a normal and (Hard) difficulty, with three deadly bosses ready and waiting to challenge even the most skilled of players. And with the newly introduced dungeon leaderboards, currently active for Antaroth’s Abyss (Hard) and Pit of Petrax, players can race against each other to see who can claim the glory and be the fastest group to clear the dungeon.